Minimise your stress when in the Capital City & explore the London City Airport car hire options on offer. The high quality and professional services avaialable from the airport will allow you travel to wherever you wish to explore! We suggest checking out the highly recommended service provided by Insurance4carhire. Buy now, with the option to start the cover up to 364 days later. Policies are sold with multilingual international emergency assistance which you can request by simply texting “HELP” or by calling 0344 892 1770. The form on the left will help you to search around for the best car hire deal for your needs. Make sure to enter your trip dates and details, and Car Hire Centre will show you the best deals suited to you! Book early: Using the Car Hire Centre widget above you can make some great savings by booking in advance. Make sure to plan ahead before your trip. Check: Make sure you give your vehicle the once over when using a car hire provider. It is important to report any dents/scratches/damage before you use the car. Know your vehicle: Make sure to get used to your vehicle before setting off on long distance journeys. Car hire providers will have car seats and sat navs on hand for customer use, as well as hand controls for disabled drivers. 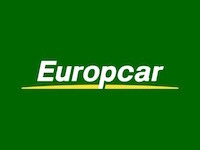 Booking car hire made simple! Make sure to use Avis for their professional and affordable prices. The minimum age to hire a car is 23 years old & must have held a driving licence for at least a year. Additional drivers can be added to the policy, which will incur an additional charge. All drivers must present a valid driving licence before use. A leader in the car hire world, make sure to run a quote today and take advantage of the great prices. 22 & must have held a driving licence for at least a year. Lynx hand controls can be easily fitted to vehicles. Make sure to call 0371 384 3412to arrange this service. Budget will have a vehicle for everyone’s needs. Make sure to run a quote today to see which plan is best for you. 23; drivers 25 years and under will also need to pay a young drivers surcharge. Hand controls can be fitted, free of charge, for drivers who need Specially Adapted Vehicle hire. You can also nominate a surrogate driver. Make sure to call 0344 544 4662to arrange this. 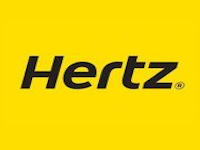 Pick from a great range of cars supplied by Hertz at great prices. There is a vehicle for everyone’s needs! 23; All drivers aged 25yrs old and younger will have to pay a young drivers surcharge. Hand controls can be fitted on request, as well as wheelchair access for vehicles. Please call 0843 309 3045* to arrange, while giving 48 hours notice.